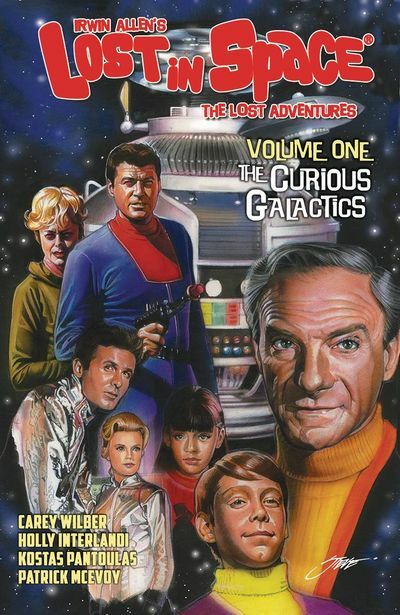 The first few Lost In Space The Lost Adventures comic books comprising the Curious Galactics storyline have been compiled into a hardback volume. 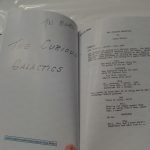 In addition to the three issue comic, volume one also includes Carey Wilbur's original script pages (along with handwritten notes), technical specifications of the Robot and Jupiter 2, the various covers for the 3 issues, and concept art. It's great having the entire storyline bound in a hardback format. 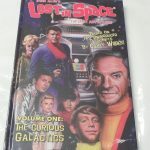 I'm hoping they'll do the same with the Malice In Wonderspace storyline and since this is Volume One, it's a distinct possibility. 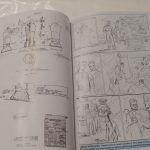 If you haven't already gotten the comics, but want to, get this hardback version instead because of all the extras you get! 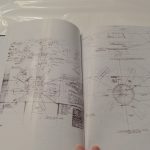 Check out the photos I took of my own copy below. 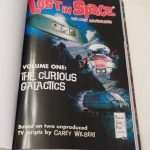 The Lost In Space Lost Adventures Volume One is available for purchase at Things From Another World.